If one of your New Year’s resolutions is to catch up on all the amazing movies you’ve missed in recent years, you won’t want to miss out on the latest iTunes promotion. There’s something for everyone, whether you’re into action, comedy, or romance — and prices start at just $4.99. Some more recent titles, including The Meg, Jurassic World: Fallen Kingdom, The Spy Who Dumped Me, Spider-Man: Homecoming, and Ready Player One are now down to $9.99 for a limited time. 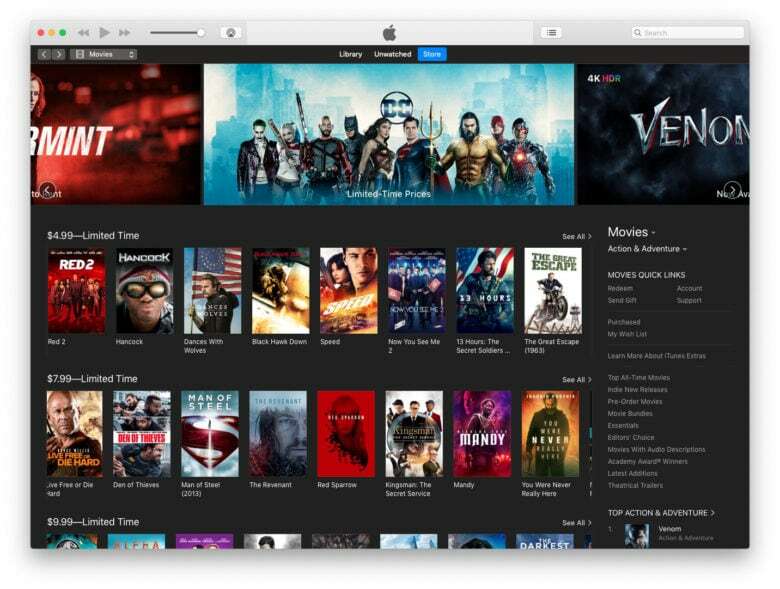 Apple is still running its iTunes holiday promotions, too, which means you can also find great deals on film collections and bundles, like The Dark Knight trilogy, The Matrix trilogy, The Bourne Ultimate collection, and more.